Staying in on the sofa? Your night becomes a real treat when you add good friends and great food. 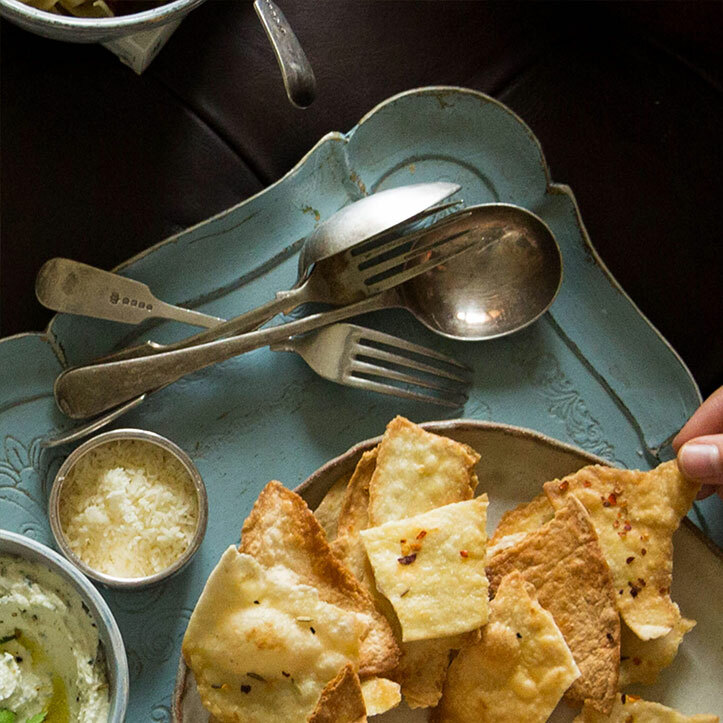 Keep things simple and stress-free, with a menu as easygoing as your evening. 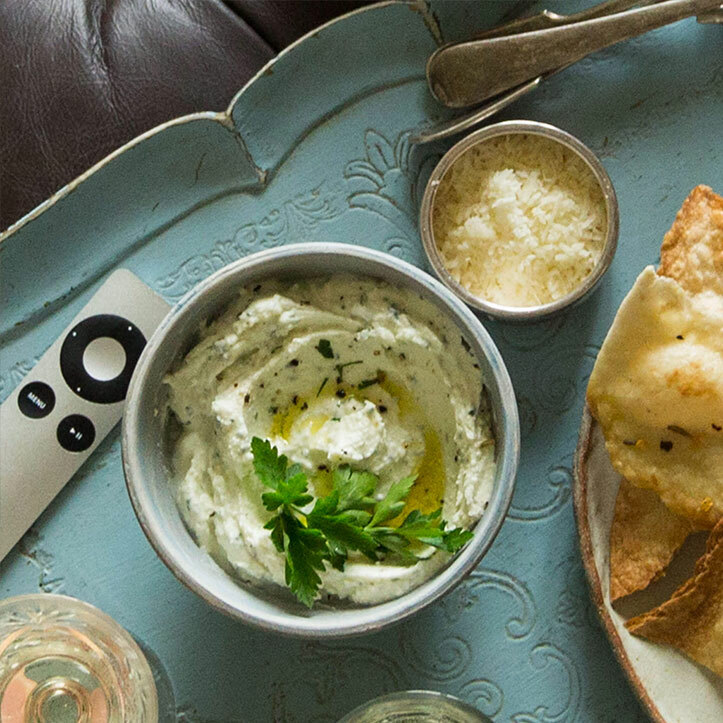 Homemade dips and chips are ideal for grazing, as you settle down to a box set you’ve been meaning to watch or a film that brings back happy memories. 1 Preheat oven to 200C/Fan 180C/400F. In a large bowl, mix the cream cheese, parmesan, cheddar, mayonnaise, garlic and basil and season with salt and pepper. 2 Gently mix in the sliced artichoke hearts and spinach leaves. 3 Place in an ovenproof dish, top with mozzarella. Bake for 20–25 mins or until the cheese starts bubbling and turning golden. Serve warm. In a food processor pulse the feta until blended. Add all the remaining ingredients and pulse to combine; you may have to stop to scrape down the sides with a spatula to ensure all the ingredients incorporate. Transfer to a serving bowl, drizzle with a little olive oil and top with parsley sprigs. 1 Preheat oven to 200C/Fan 180C/400F. Line 2 large baking trays with baking parchment. Spread the torn wraps on the parchment without overlapping the pieces. 2 In a bowl add the oil, fennel, chilli and salt; mix together and, using a pastry brush, coat the torn tortilla with spiced oil. 3 Bake in the oven for 3–5 minutes or until golden. 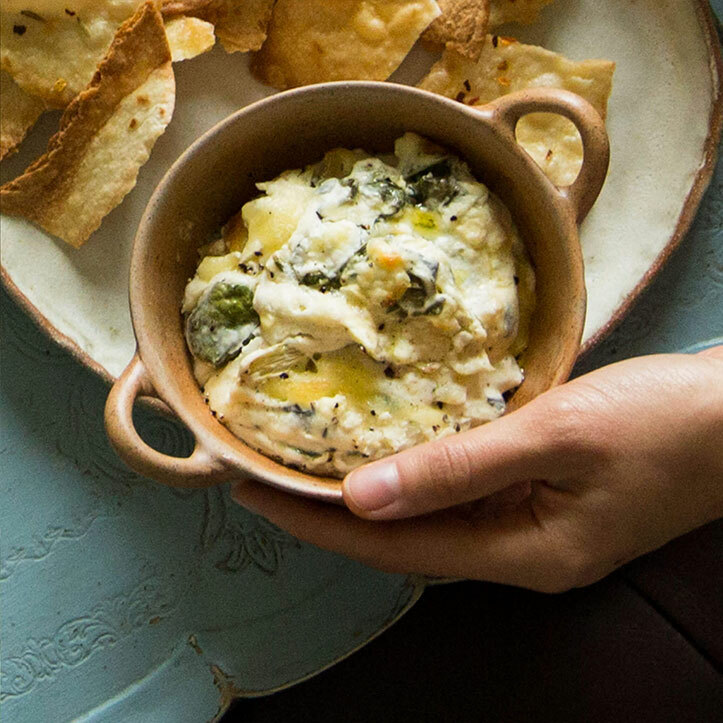 Serve with the dips. 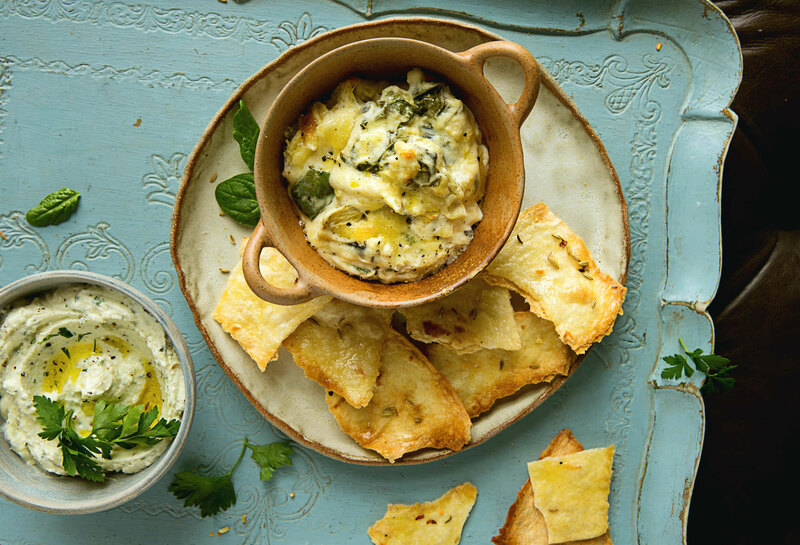 These dips and chips are sure to be a winner, combining snack appeal with the virtue of being made from scratch. Fancy a little tipple to accompany them? Try our four twists on classic cocktails: the bramble inspired Blackberry Joule; Grape Expectations – a new take on the pisco sour; Mocha Orange Martini – a fruity espresso martini; or a Smoked Bloody Mary, all created for us by award winning mixologist, Ian Kane of of St Martins Square Cafe. Find these cocktail recipes here. This recipe was brought to you in partnership with The Simple Things magazine, a monthly invitation to slow down, enjoy what you have and make the most of where you live. 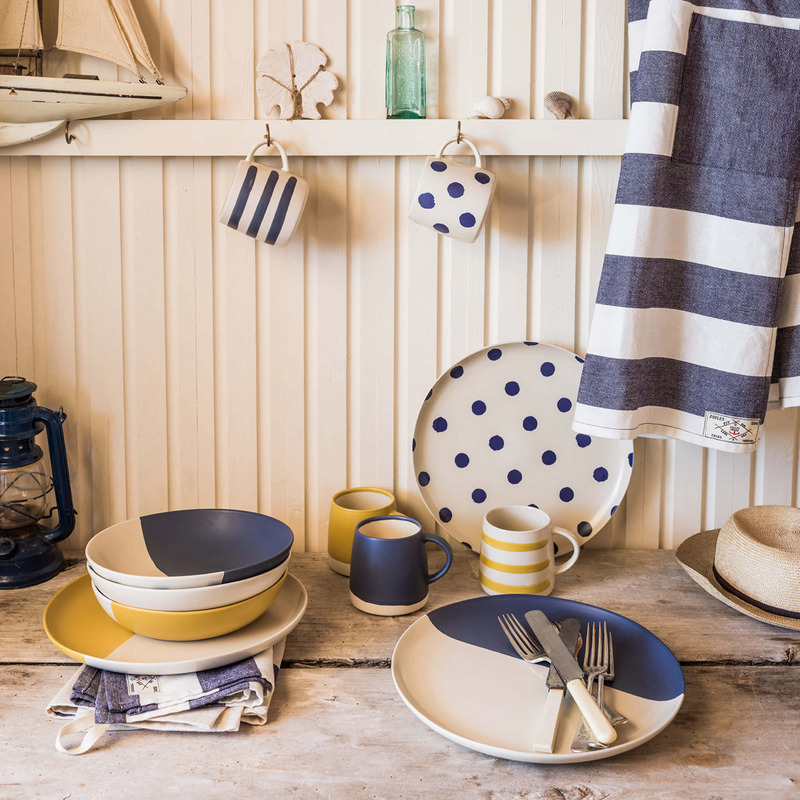 Add some colour to your culinary adventures this season with our bright collection of crockery. Our ever-popular Galley Grade collection is a must for any kitchen. Hand glazed, it has a real homespun, tactile charm about it.